From a Corvette to a Porsche, there’s a luxury car for everyone. 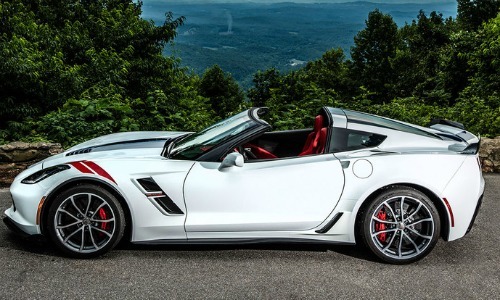 Get the best exotic car rentals in Phoenix, Scottsdale, and Tempe from Rent A Vette. Call (888) 308-5995 or reserve online here. Chevrolet was concerned about Ford’s racing program, so the original Grand Sport was produced in 1963 in response to those concerns. The plan was to build a lightweight race car (1000 pounds less than the production Stingray) to rival Carroll Shelby’s new Cobras in the GT World Championship races. Because GM executives had banned all racing activities, the project, approved by the head of Chevrolet, Bunkie Knudson and lead by Zora Duntov, was top-secret. Five cars, designed to be as light and as powerful as possible, were produced. And in preparation for the 1964 Daytona endurance race, Chevrolet engineers converted two of the Grand Sports to roadsters, making them the lightest-weight and fastest Grand Sports of all. 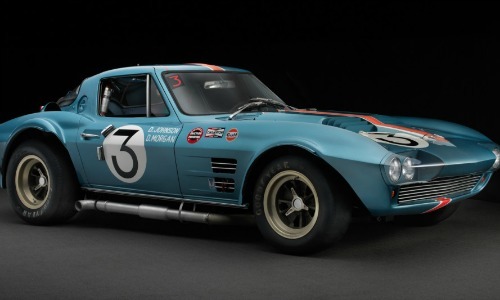 Unfortunately, rumors about the project spread far enough to get it shut down, and those five cars became some of the most valuable and coveted Corvettes ever built. In 1996, Chevrolet produced 1000 of the Grand Sport version to mark the end of production of the C4, a nod to the original 1963 model. Then, in 2010, the name Grand Sport returned to the Corvette lineup as an entirely new model series that replaced the Z51. And now for 2017, the Grand Sport’s historical moniker is coming back for the 7th generation Corvette. While the exterior of the 2017 Grand Sport has much of the same design of the Z06, there are some minor features changes to separate the two designs. The Grand Sport inherited a similar grill design, headlights, wider fenders, a wider track, and similar rear quarter panels, but its specific front fender and custom wheel design make this car standout. And like the exterior, the interior is also similar to the Z06 interior; it deviates with extra carbon-fiber inserts, flat-bottom steering wheel with a “Grand Sport logo, and a magnesium seat frame structure. 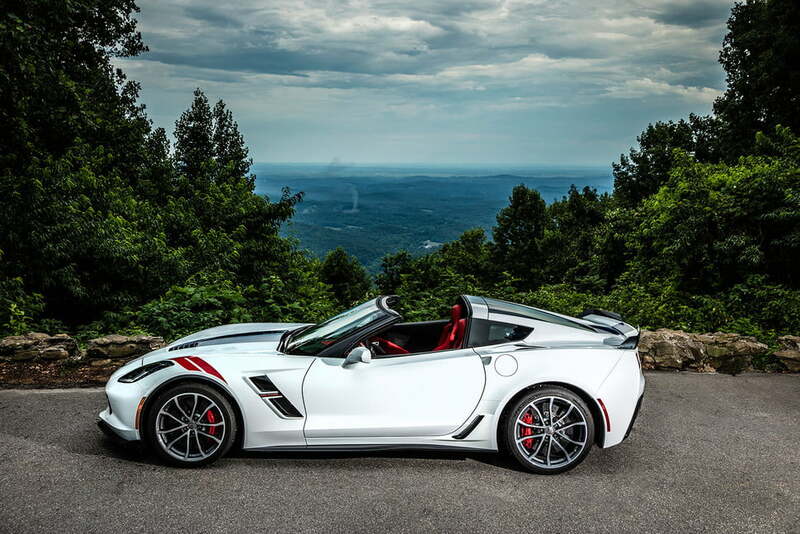 While it may look similar to a Z06, it inherited the engine of the Stingray, which means the Grand Sport is estimated to go 0 to 60 in about 3.5 seconds and reach a top speed of 195 mph. Despite its stylistic departure that worried longtime Corvette fans, the 2017 Grand Sport has been met with enthusiasm and concerns quickly evaporated once its impressive performance was experienced. This vehicle strikes a balance between power and agility while transitioning easily from long road driving to spins around the track. 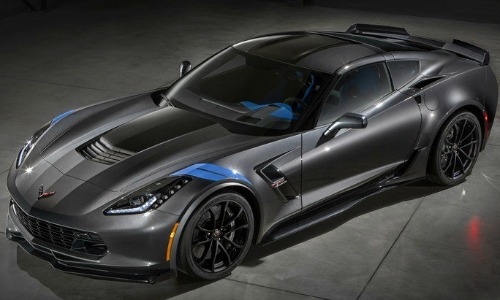 Digital Trends is calling the Grand Sport a “hot rod that’s not too hot to handle.” And with a comfortable, driver-friendly interior and incredible amount of grip, this may be as close to driving a race car us regular folks can experience. So, channel that inner race car driver and rent the new 2017 Grand Sport from Arizona’s oldest exotic car rental company – Rent A Vette.